Cosmetic dentistry provides patients who are unhappy with the appearance of their smile the opportunity to transform it and boost their self-confidence. 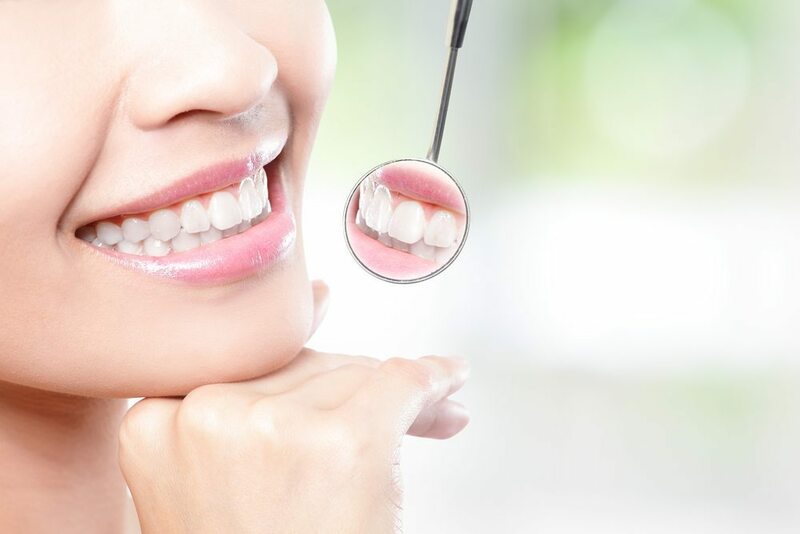 Whether you have stubborn dental stains, chipped teeth, or simply want a straighter smile, we offer a variety of cosmetic dentistry treatments at Metropolitan Dental Care. With offices in both Denver, CO – our cosmetic dentistry experts are committed to helping you achieve the smile of your dreams. Before treatment is administered, one of our cosmetic dentistry experts will perform a complete examination of your teeth and gums to determine if there is any sign of tooth decay or gum disease. In cases where they are detected, those will first need to be addressed before proceeding with cosmetic dentistry treatment. Your dentist will also take the time to review your specific cosmetic goals in order to get a better. Dental Crowns: When back molars are chipped, fractured, or severely stained, we offer custom-made dental crowns designed to cap a tooth. It will not only reinforce the tooth’s structure, but provide a new and improved looking tooth. Porcelain Veneers: These custom-made shells are made from durable porcelain and designed to cover a multitude of issues, such as chipped, discolored, gapped, misaligned, and uneven teeth. When placed, your smile will be dramatically transformed. Although similar in function to dental crowns, porcelain veneers are thinner and only cover the front surface of teeth. While dental crowns are both restorative and cosmetic in nature, veneers are only recommended for cosmetic purposes. Results can reveal a stunningly beautiful smile. Teeth Whitening: When dental staining and discoloration are considered mild to moderate and only affect the outer layer of the tooth, we can brighten their appearance with a professional teeth whitening treatment. Your teeth will instantly look healthier and more attractive. Invisalign®: This treatment provides patients a discreet and effective solution in correcting crooked and misaligned teeth. Invisalign® aligner trays are virtually invisible and can address mild to moderate dental misalignment. Aligners should be worn for 20 to 22 hours a day and removed for eating and drinking anything other than water. Treatment is ideal for adult patients desiring a straighter smile. Orthodontic Treatment: If dental misalignment is more severe or a bite disorder is involved, traditional orthodontics may be recommended to help you straighten your smile. Gum Contouring: Gums are designed to frame teeth and create a healthy and attractive smile. When gums lines are uneven or there is an excess amount tissue, it can make teeth appear imbalanced. We offer laser gum contouring to help improve smiles. Tooth-Colored Fillings: If you have unsightly metal filling, we can replace them with composite resin shade-matched to blend with the natural aesthetics of your smile. If you are interested in improving the appearance of your smile, schedule a consultation with one of our cosmetic dentists to determine which treatment is best suited for your needs. You would be surprised how just a simple treatment can transform your smile and boost your confidence. Contact our office today online or call (303) 534-2626 to book your appointment.